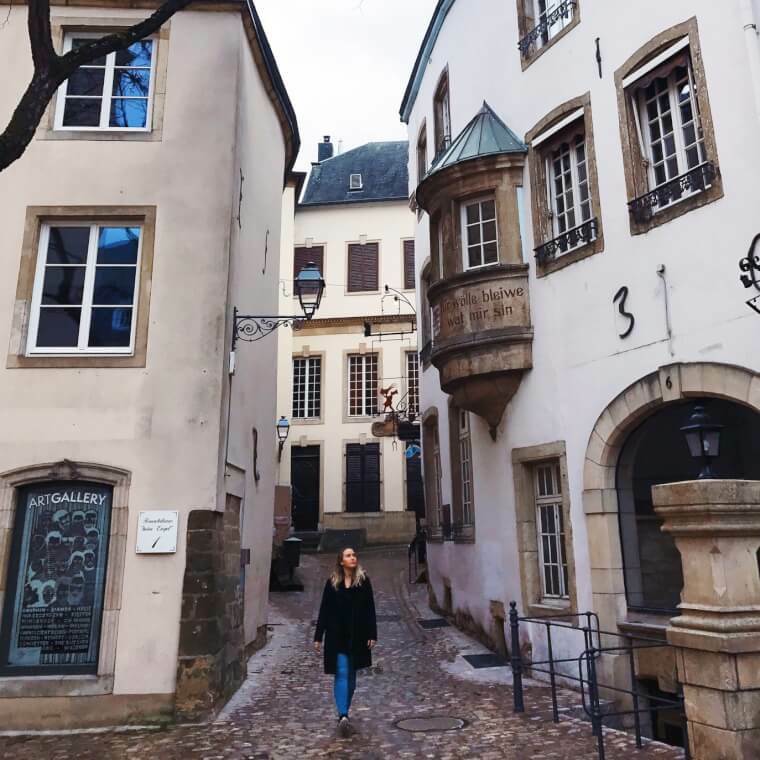 How To Explore Luxembourg In A Day: A Mini Travel Guide! 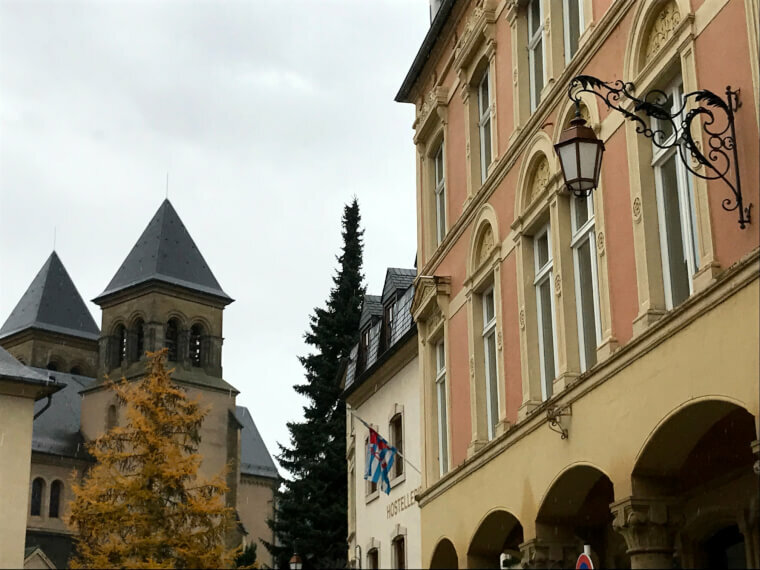 I recently spent a long weekend visiting the tiny European country of Luxembourg, after finding £20 return flights online. Luxembourg is considered one of the smallest countries in the world at only 82km long and 57km wide. It borders Belgium, France and Germany and is the only country in the world with a Grand Duke as the head of state. Although it’s a beautiful city and one I loved exploring it’s definitely not a destination you would want to spend a significant amount of time in. We had two days to explore Luxembourg and within an hour we were already worried about what we could do to pass the time. I always used to scoff when certain people (Contiki Tourists for example) would brag about visiting three countries in a day as I just couldn’t understand how you could really see a place in such a short time frame, and whilst I still hold those beliefs for anywhere else in the world Luxembourg is definitely one destination where you could literally go for lunch, it really is that tiny! 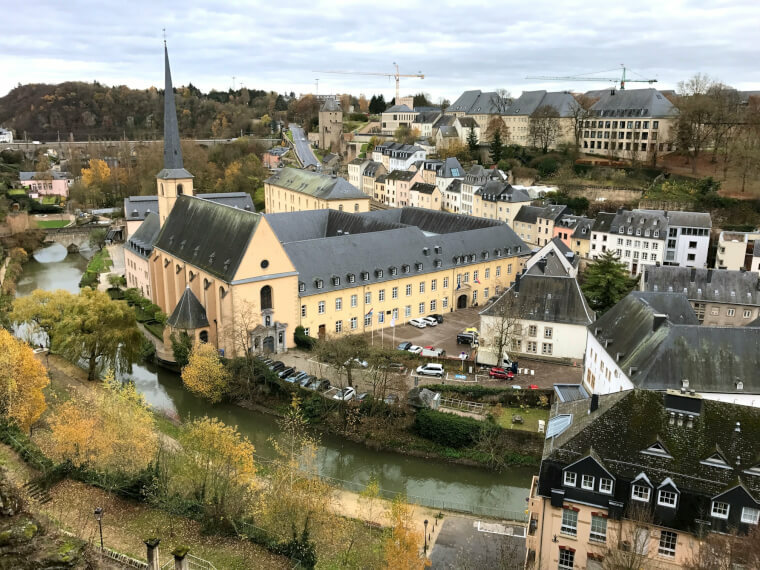 Everything you’d want to see in Luxembourg is within walking distance and can all be seen within an hour. It’s the perfect city to wander around aimlessly and get marvelously lost in, finding tiny medieval streets along the way. 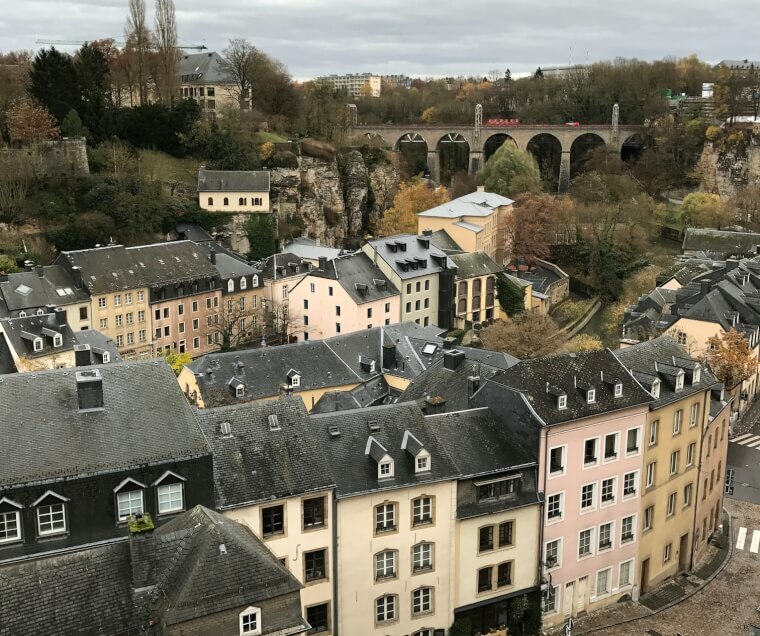 Place d’Armes, Palace of the Grand Duke, Notre Dame Cathedral, Saint Michaels (oldest church in Luxembourg) and the Bock Castmates are some of the sights to see but our highlight was 100% the views from the Corniche and City promenade, from here you can admire the fortified medieval old town in all its beauty. I also loved walking around the Old Town itself. We booked our trip pretty last minute but ended up getting an incredible deal at the Grand Cravat Hotel. 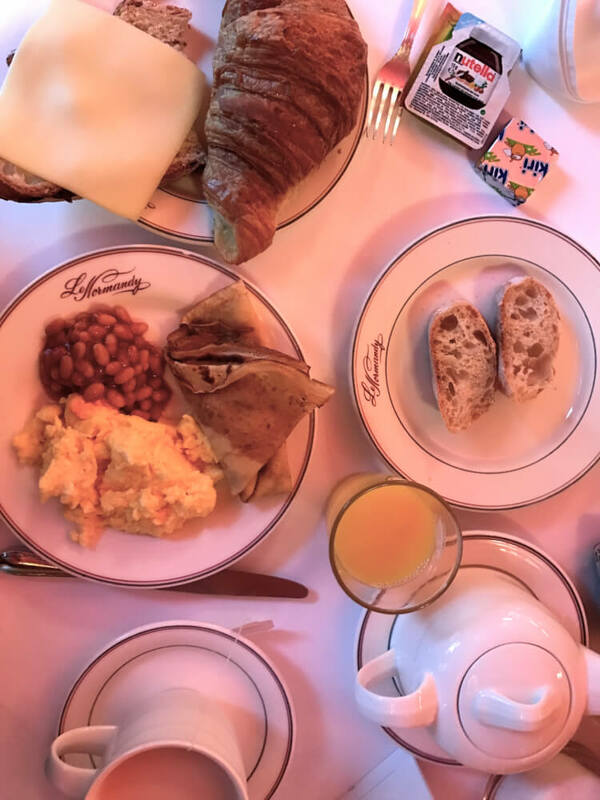 Whilst the room decor was a bit dated (fitting to the city style though) the room was comfortable, the hotel was exceptionally located and the included buffet breakfast was delicious. I would definitely stay here again. Luxembourg is very easy to get around. From the airport the bus costs €2 and takes around thirty minutes each way. Note that on Saturdays all public transport is free, including the airport bus – amazing! Within Luxembourg city itself everything is within walking distance, which makes it nice and easy. 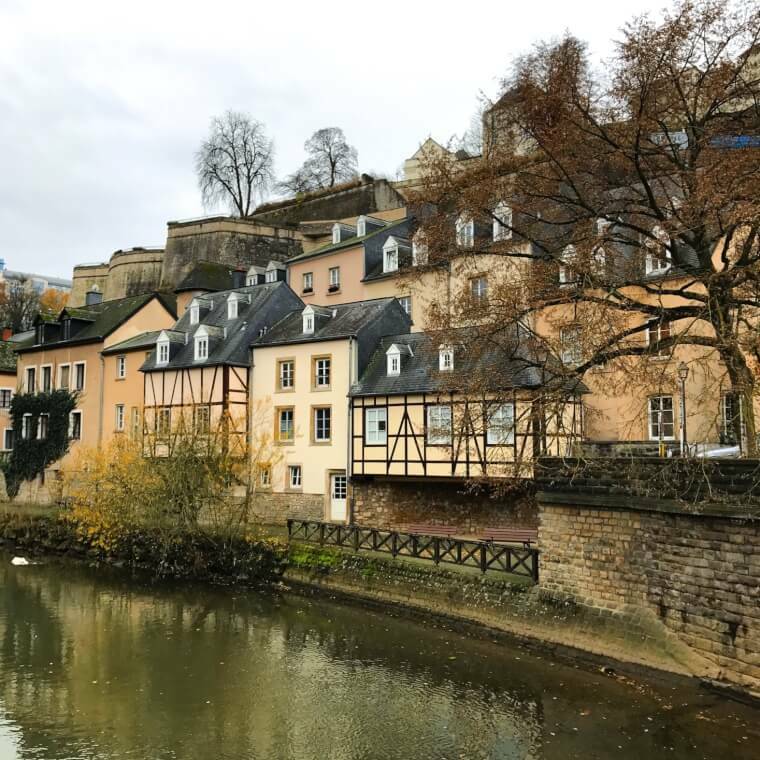 If you have more than a day on your hands to explore the country of Luxembourg I recommend getting out of the city for the day. We rode the bus forty minutes out of the city to Echtarnach, the oldest town in the whole country. Whilst the architecture was picturesque there wasn’t a lot to do, everything was closed on the Monday we visited. Apparently the Mullerthal region is considered the Switzerland of Luxembourg, which could be worth checking out also. Visiting one of the neighbouring countries for the day would also be an excellent option. There you have it, my mini guide for a mini visit in the mini country of Luxembourg. It may not be the most exciting country in Europe but it’s the perfect destination for a quick weekend getaway if you are lucky enough to be based in Europe. Awesome guide. 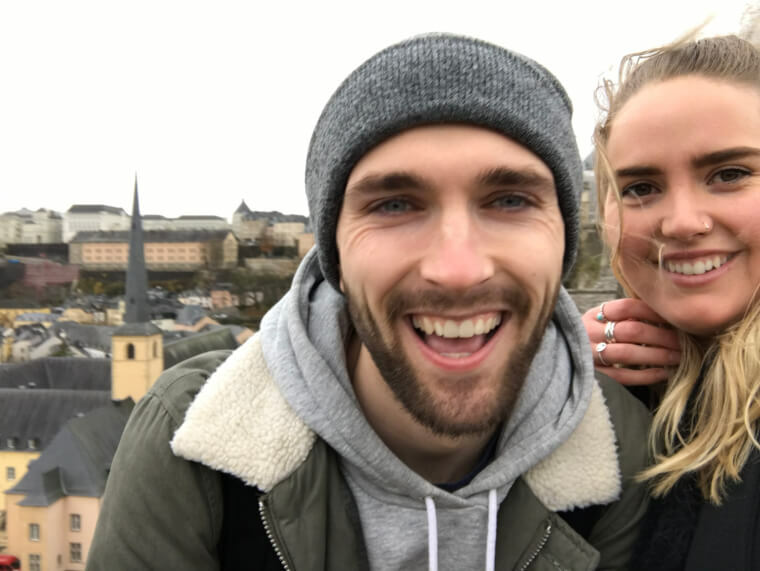 When I travel to Luxembourg I will follow your detailed guide, Sasha! Hi, yes, Luxembourg is small indeed. Yet, after visiting the city centre, here’s a few more places to check in the rest of the country: the castles of Vianden, Clervaux, Bourscheid, Beaufort and the Mullerthal region. And the interesting part is that when you buy a daily ticket instead of a single ticket when getting on a bus, you can then take any bus or train (!) anywhere in the whole country until the next day at 4 a.m. Thanks for the tips Dudau! 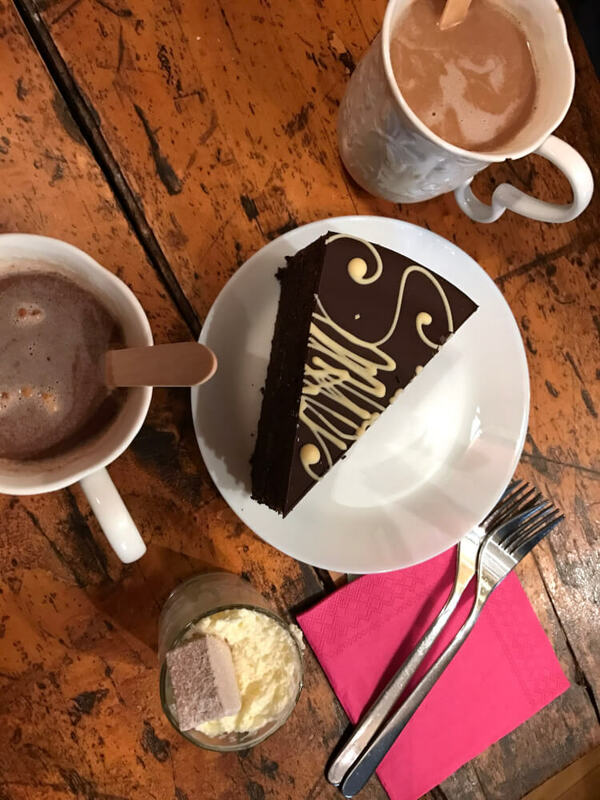 A great round up and it looks like you’ve got everything you need to know to spend a few days in Luxembourg. I think I’d love staying at Grand Cravat Hotel. I love any chance to get in some more Nutella. 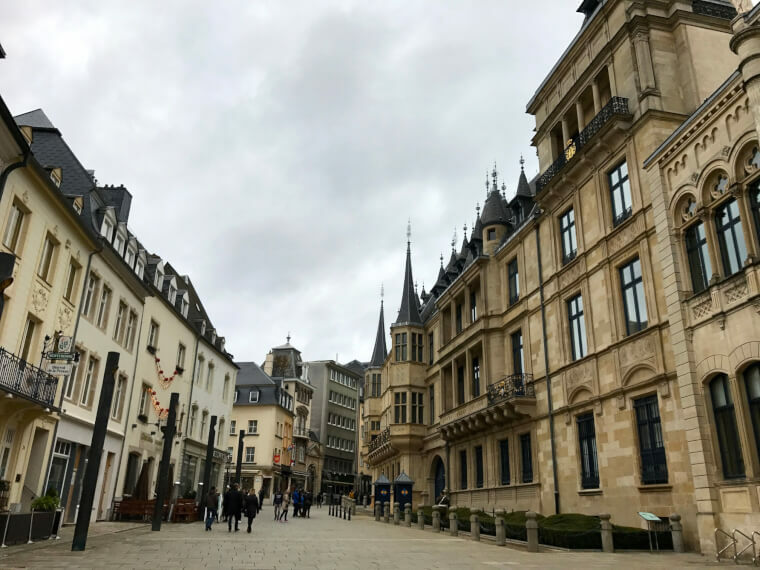 Luxembourg looks like the type of city you don’t even need to do much more than wander through the beautiful streets. Thanks for sharing. It is perfect for wandering around! Jut what I needed, I am visiting Luxembourg soon, it’s a country I’ve never been to. It’s so small I keep driving past it! The grand duke story is interesting and I’d love to photograph the Palace of the Grand Duke, it looks amazing and unique. I’m so glad I came across your post! My friend and I are traveling to Amsterdam and Belgium in March, and were debating about adding on Luxembourg. It sounds like you can do it as a day trip from Belgium, which is great! I also love that you included a section on things to do when you’ve “run out of things to do in Luxembourg.” Hilarious! I love the architecture of the buildings in your photos. I haven’t been to Luxemburg yet but it looks a lovely place to wander around. It is a lovely city to wander around, very quiet! Wow I knew Luxeumbourg was small but I didn’t realize it was THAT small. I would love to visit next time I’m in that part of Europe. The food looks delicious and the streets and buildings are so quaint and picturesque. It is very picturesque, worth a visit for the day! I had the same problem as you when I visited in 2014! Had 2 days to spend there but within the first hour and a half we’ve sort of seen and done everything there was to see and do. But the flight was so cheap we couldn’t really complain! Loads of people recommended the Chocolate House to me but I didn’t actually go. Your comments have sort of made me glad about that now haha, thanks for sharing your honesty! Ha yes, I imagine a few people have found the same issue. Beautiful but small! Wow, cheap return flights! Where were you traveling from? The city looks beautiful! I’m a chocolate addict so I would definitely visit the chocolate house, but in hopes that I would have a better experience then you had, hopefully it was just a bad day for them. The beauty of living in London is very cheap flights! Yes, with all the good reviews I would hope so! Luxembourg looks so beautiful! I would probably just walk until I got hungry and thirsty, stop for food & drink, then resume walking again. Repeat until bed time.